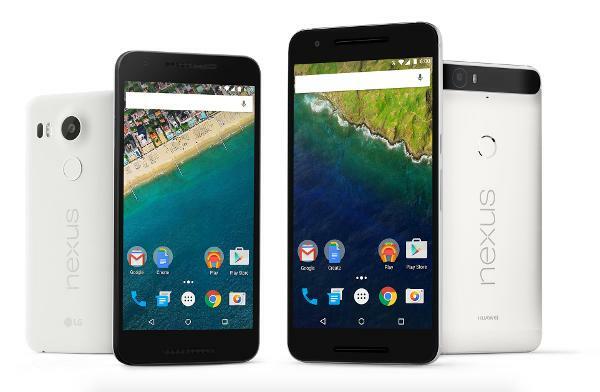 A Google-branded phone could reach users unlikely to buy Nexus devices. The Telegraph reports Alphabet (GOOGL - Get Report) plans to launch a Google-branded Android phone by year's end, thus putting the company in direct competition with both Apple (AAPL - Get Report) and Android phone vendors such as Samsung, LG, Lenovo, and Xiaomi. A common and understandable reaction to the report has been "Why?" After all, Google, through its Nexus line, already develops phones meant to fit its vision of what Android hardware and software should look like. And by having the phones produced and sold by OEM partners such as LG and Huawei, the company is able to avoid upsetting OEMs by directly squaring off against them. A look at the current state of the smartphone market, and the Nexus line's place within it, helps explain Google's thinking. Though Nexus phones have a cult following, particularly among those who want a phone running "stock" Android (a version of Android that doesn't have a custom skin such as Samsung's TouchWiz running on top of it), their distribution model hurts their reach. Specifically, Nexus phones aren't sold by carriers; they're sold by Google and select retail partners at their full unsubsidized prices. A Google-branded phone directly sold by the likes of AT&T (T - Get Report) , Verizon (VZ - Get Report) , and Vodafone (VOD , and thus eligible for the phone subsidies and installment plans provided by mobile carriers, could reach many consumers who aren't likely Nexus buyers. All while still allowing Google to provide its ideal Android experience. As for whether Android OEMs will be upset about such a move, it's certainly possible, but given Android and iOS' mobile dominance, they have little choice but to grin and bear it. Samsung's Tizen OS has made little traction, Mozilla's Firefox OS recently bit the dust, and Microsoft (MSFT - Get Report) has responded to Windows Phone's struggles by de-prioritizing the platform. Unless Apple opens up iOS to third-party OEMs (don't hold your breath), top Android OEMs have no choice but to continue actively supporting Google's OS. And Google knows it. In addition, launching an Android phone would fit with a broader Google hardware push. The company recently hired former Motorola Mobility chief Rick Osterloh to head a new hardware unit encompassing Nexus devices, the Chromecast streaming stick, Google Glass, and several other products. One has to assume a Google-branded phone will also be under Osterloh's purview. Google has also said it will join Android OEMs in launching a virtual reality headset based on its Android phone-powered Daydream VR platform. Two years after it sold Motorola Mobility to Lenovo, Google once more appears serious about wanting to be a force in mobile hardware.